If you thought you’d have to choose between style and practicality for your window treatments, the Main Line’s premier Hunter Douglas dealer says “think again”! This renowned brand of blinds and shades offers you a hint of exotic tropical decor and more in its fantastic selection of woven wood shades. 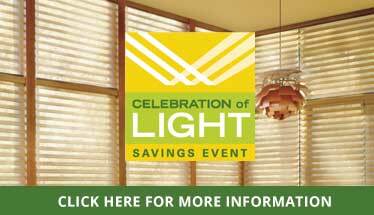 Woven wood shades appeal to people who want a natural look to their window coverings. These lovely shades are made of plant material such as grass, bamboo, jute, and straw. There is a range of prices but woven woods are often an economical alternative to conventional treatments. Woven woods are colloquially known as “matchsticks” because of their organic nature. Colors lean toward the forest and jungle: shades of green or tan. Also look for these shades in beautiful patterns including tortoiseshell. To add privacy to your new treatments, be sure to add a liner, which of course Window Concepts has available. When your room needs just a bit of sunlight but you also value light control and temperature control by night, Hunter Douglas has a ready solution in its Provenance® Woven Wood Shades. These coverings are meticulously hand-woven reeds, wood, and grass, perfect for nature lovers! But at the same time, your new shade can be motorized with one of Hunter Douglas’ great options for that by using a Modern Headrail and valance. Have the best of both worlds. Wouldn’t you love to have imported Asian fabric for your woven wood shades? Now you can thanks to the spectacular options of Alustra® Woven Textures®. Recalling South Seas mats, these woven woods are made and crafted in the United States. What’s more, your new Alustra fabric can be added to easy-to-use advanced Hunter Douglas designs such as Roman shades. At Window Concepts you can also get dual rollers to accommodate the privacy liner you will need. Alustra woven woods are excellent for light control. When discerning Main Line households need an exotic yet economical alternative to the same shades everyone else has, they know they can count on our Paoli, PA store, and so can you.